Go here for All-Access subscription. 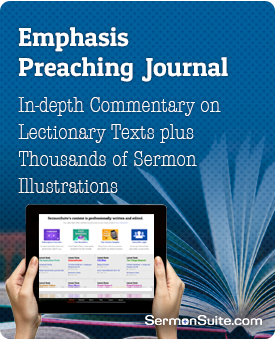 Emphasis Preaching Journal provides commentary for sermons which tie the lectionary readings together, giving an overall theme for the day and several solid preaching possibilities. The Emphasis archives include over 16,000 sermon illustrations. 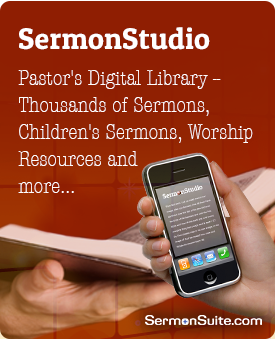 Get 2 years of stimulating commentary and relevant sermon illustrations. 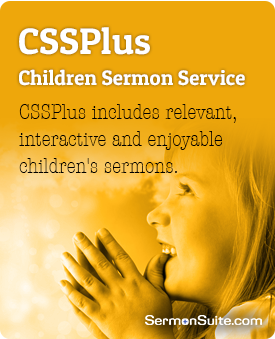 CSSPlus, or "Children's Sermon Service...Plus," boasts over 3,100 children's sermons (and activities) based on the Gospel and 2nd Reading of the lectionary. There are generally 12 to 14 different children's sermons and 5 to 6 activities for each Sunday from which to choose. 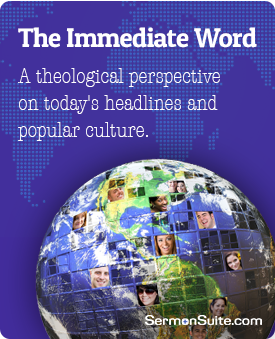 The Immediate Word gives a theological perspective on current headlines and popular culture for your sermon. The writing team meets weekly via teleconferences to give you resources relevant to current worldly events and happenings. 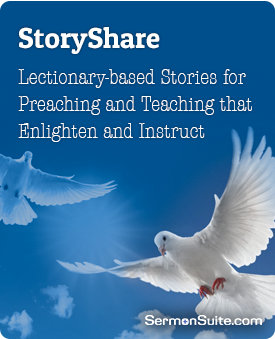 StoryShare is an excellent source of stories based on lectionary texts. The stories can be used as extended illustrations or often times can stand on their own as full sermons. 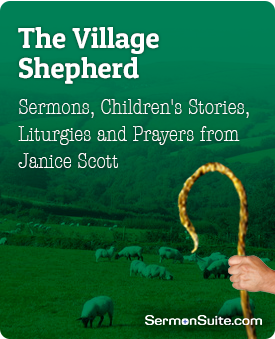 The Village Shepherd, written by Janice Scott of the UK, contains 3 sermons (one each for 1st Reading, 2nd Reading, Gospel), a children's story, a children's liturgy (with a story), and intercession for each Sunday of the lectionary. 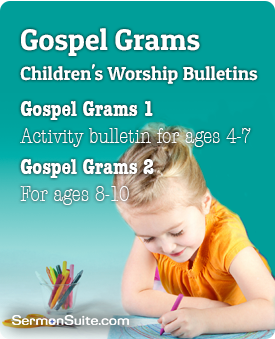 Gospel Grams 1 is a children's activity bulletin for children 5-7 years old. Perfect for use in church services, Sunday School, or home. Gospel Grams 2 is a children's activity bulletin for children 8-10 years old. Perfect for use in church services, Sunday School, or home. Gospel Grams Combo includes Gospel Grams 1 (ages 4-7) and Gospel Grams 2 (ages 8-10). Enter PRELENT1925 for 25% discount.